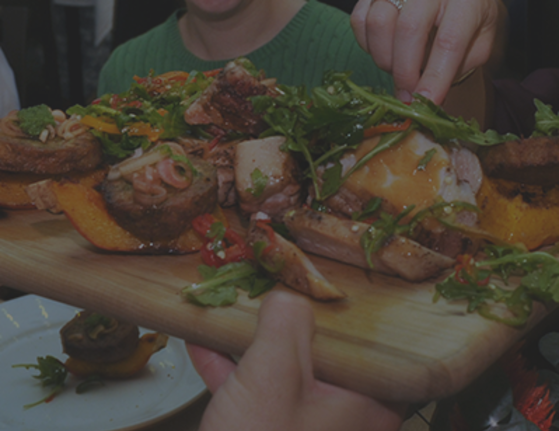 CULINARY BITES highlights Orange County’s award winning restaurants, chefs, baristas, food artisans, brewers & distillers and the delightful culinary experience they bring to this place. 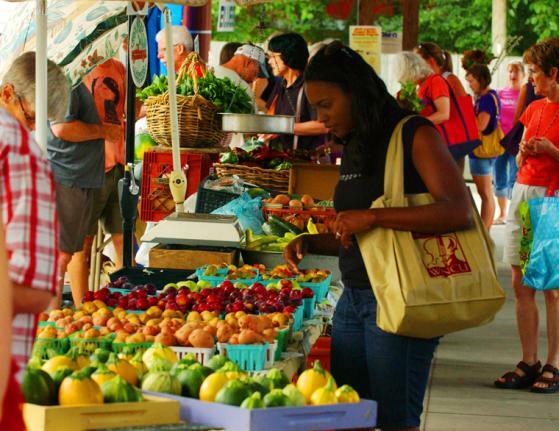 Did you know that Bon Appetit magazine dubbed Chapel Hill “America’s Foodiest Small Town”? Check back often for recipes, samplers, chef bios, restaurant history, reviews and more. Located in Carrboro, NC a town with a population of about 21,000, is a locally owned small batch artisan roaster with reaches far beyond the horizons of Orange County, NC - actually their reach is global. From this small community devoted establishment come coffee beans sourced directly from personally chosen small coffee farms located in parts of the world with premier growing regions in South and Central America, Africa and the Pacific Rim. Owner, Scott Conary, frequently visits these origins and can tell you, you can feel good about this coffee – the farms selected grow their beans humanely and sustainably, allowing the farmers to live decently. Scott has a profound respect for these farmers and their coffee and it shows on each bag of their Direct Relationship coffee - portraits of the coffee farmers from which the beans are sourced. 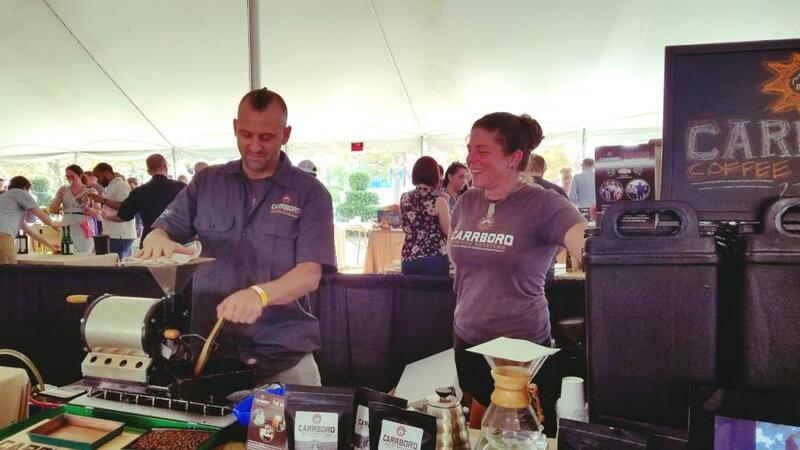 To be sure you will enjoy the best cup of coffee possible, Carrboro Coffee Roasters is dedicated to the art and science of roasting. Scott’s experience in coffee excellence is world renowned. Not only does he consult for companies, restaurants, and cafes regionally and around the world, he is a certified judge for coffee competitions including as Head Judge for the World Barista Championship. In addition to Direct Relationship coffee, Carrboro Coffee Roasters currently offers 30 delicious & distinct coffees in all and is available at many local establishments throughout Carrboro, Hillsborough and Chapel Hill and pretty much the Piedmont Region of North Carolina. However if you’re in Carrboro or Chapel Hill, you’ve got to visit their flagship cafés Open Eye Café and Caffe Driade. Established in 1999, Open Eye Café is locally and affectionately known as Carrboro’s Living Room and a great place to hang out to catch amazing musical and artistic talent. You can expect superb coffee classics and specialty drinks at Open Eye, but they also offer a full selection of wine, beer and teas and locally made baked goods. Just some fun facts about Open Eye… at the time of this writing 1,632,000 cups of coffee have been brewed; 3,570,000 coffee loving visitors have been served; and 20,400 pounds of whole bean coffees have been sold. As for Caffe Driade, well it is just the perfect place to enjoy your award winning favorite coffee beverage. And like Open Eye Café, live music and visual arts can be found here but it’s their quaint Northern-Italian style shop, outdoor patios with wooded and garden landscape that makes this place such a delight. Ask Scott about coffee and he’ll tell you “Coffee Unites the World”. Listen to an interview with local radio 97.9 host Ron Stutts and Scott to hear about the importance of relationships with coffee farmers and community, home and abroad.